USA Today Sports’ Tom Pelissero gives Bold Predictions that you’d never expect for Week 13 of the NFL season. Darrelle Revis will miss his second consecutive game Sunday. The New York Jets ruled their all-pro cornerback out Friday, nearly two weeks after he was concussed in a Week 11 loss to the Houston Texans. Revis did not practice this week as he continues to be evaluated in the NFL’s concussion protocol. The Jets will have to turn elsewhere, likely to veteran Antonio Cromartie, to cover red-hot New York Giants receiver Odell Beckham in Sunday’s crosstown matchup. 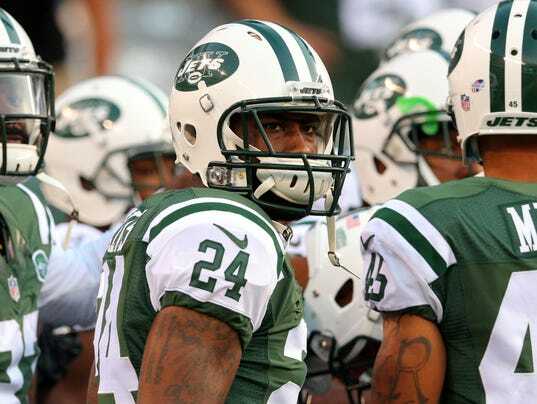 However the Jets’ secondary may also be without Dion Bailey and Marcus Williams, who are both doubtful. — Pittsburgh Steelers QB Ben Roethlisberger is probable to face the Indianapolis Colts. Big Ben left last week’s game with self-reported concussion symptoms and spent the early part of this week in the league’s protocol.